Boy, do I feel like I need a change of scenery. March is a cruel, long, cold, dark, teasingly exasperating month, and I've had enough. I definitely feel like I need a little escape sans la familia, if you know what I'm saying. I'm a little concerned about my attitude these days. I'm cranky, impatient, hypersensitive to criticism, non-sympathetic, critical, and just about any other negative adjective you can pack into one sentence. I DO NOT LIKE THIS ABOUT MYSELF, and I really feel like I need a break from the routine of work and home. I think I may be having a little bit of a mid-life crisis (of course, women get them but we don't buy cars and boats), and I feel restless and dissatisfied with many aspects of my life. In other words, is this all there is? I just realized that my last several posts didn't have any (fun) pictures accompanying them, so here's a little eye candy to brighten up your Monday night. The Baker's Honda Two-Fer. I submitted this picture for a Honda contest to win an iPad 2. Wish us luck! My 18 year old as a sweet little tyke. Mema/Popo with Jackson during Annalisse's visit to VA during Feb. break. As I combat my guilt for not going to church this morning, I cherish the quiet moments that come with sleeping in a little and having a real breakfast of bacon and blueberry pancakes. After all, I deserve to sleep in a little today, especially after I needed to go out at 3am to pick Cam up from his Washington, DC trip for the robotics competition (getting home at 3:30am). On Sunday night Fairport welcomed it's newest North Country transplant: my niece, Nicole. Nic moved to the Rochester area from outside of Richmond, Virginia, where she had lived with a friend since last August. It turns out that even the awesomely warm weather of Virginia could not keep her from missing her boyfriend, Patrick, and the longing to be a little closer to home. So, Nic decided Rochester, which is where Patrick is living, was a good compromise for the next stage of her life, and we couldn't be happier! She's now just a couple of miles away from us, and Annalisse and I, in particular, are really glad she can be part of our day-to-day lives. Annalisse is already planning shopping trips and hang time with her. Nic left behind her banking job, and she has two interviews lined up for this week. One was today, and she thought it went well, and the other is on Thursday. A great start!! So, welcome, Nic! Just wait until you see what life in Fairport has in store for you!! Sometimes you can judge how busy I am by the number of blog posts I manage to write in a week. By that measure, it's been a very busy week. But, I just wanted to write a little about how sad and troubled I am about what the people of Japan are going through right now, following their devastating 9.0 earthquake, which caused a horrific tsunami, which resulted in extensive damage and a meltdown of several nuclear power plants. What those poor people have had to deal with, what they have lost, and the uncertain future they face is very upsetting to think about. It is really a cause for pause for all of us, as we complain about about a long, cold, snowy winter that's been followed by a dark, damp, frigid spring. We should all just retreat into our war, dry, radiation-free homes (this must be the day to describe things in "threes") and count our blessings. I saw this article on North Country Now about how youths choose the same brand of "smokes" as adults, with menthol being their top choice. Articles like this, even though the real point is that the cigarette companies marketing to youths is working, bother me very much, and that's probably because I abhor "all things smoking." With two parents who smoked (and later both quit), my memories of being closed in the car with the windows up (during frosty winters) and not being able to breathe made me decide very early in life that I would never smoke (anything - legal or illegal), and I never have. If I accomplish any one thing with my kids, I hope it will be that they will never smoke. I've talked about the disgust and dangers of smoking with them since they were very small, and am hoping those efforts work. Yuck. It's a fact. Every young girl has a teenage crush. 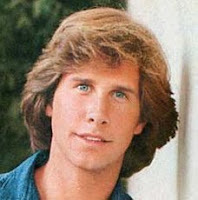 The fantasy object of my affection was Parker Stevenson, the co-star (with Shaun Cassidy, the object of many other teenage girls' affection, but never mine) on the Hardy Boys, the late '70s Sunday night adventure/detective show on ABC. Oh, how many days and nights I spent fantasizing about those piercing blue eyes and that perfectly coiffed hair, and that preppy, clean cut face (and body). I must admit, I look at pictures of PS now, 35+ years later, and still feel those heartstrings-a-stiring! Of course, every generation has its Parker Stevenson, or David Cassidy, or Scott Baio, or Leonardo DiCaprio. Behold: Justin Beiber! I've written about this along the way, but this is definitely a year of "lasts" as the parent of a senior in high school. It seems like every activity we took for granted over Cam's high school years is happening with heightened nostalgia this year. This past weekend was Cam's "last" Robotics competition at RIT. While they still have the DC competition near the end of March, I think back to two years ago when Ma Bell visited for the weekend with Tim and Lisa to bring Lauren, her granddaughter, to attend the competition. I wrote about that weekend here. These are bittersweet memories for me since her passing in December. I must lament once again that the month of March, and life in general these days, is much like being on a hamster wheel. Every night we're running the kids in opposite directions for crew. Work is busy and it seems I have at least one night program each week. There is the regular household management stuff to be done (although, I must confess, we missed Wednesday laundry day and will have super huge piles tomorrow). And the weekends, forget it. When I'm 80 and sitting on my lanai in St. Augustine I'll probably look back on these days as the best days of my life, but for now I sure could use a do-nothing day.